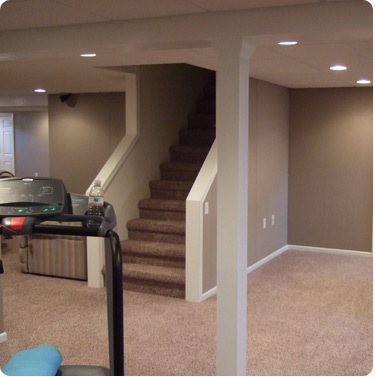 Looking for a Basement Finishing Company You Can Trust? Into useable space for your family! Based in the Twin Cities, Prescription Builders has been installing roofs, re-roofing houses, performing roof maintenance, and repairing roofs in Minneapolis and surrounding areas for over 25 years. 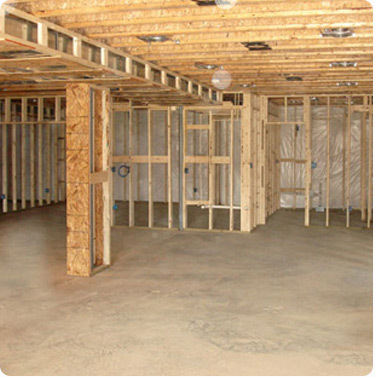 We also specialize in finishing basements and adding liveable space to your home. As always you aren't going to find a snazzy sales pitch, or someone trying to sell you products that you don't need. We simply give you the facts and let you make the decision. Let us hear your thoughts on your unfinished space and put together a plan that will work for you and with your budget. As with all of our services we will provide you with options. Depending on what you are looking to do, the complexity of the project, and the materials used we can usually plan your basement finishing project so that it fits within your budget. Over the 25 years we've been in business we have established a lot of connections and can provide you with the best rates on materials, labor, and get it completed in a quicker time frame than you'd expect. We encourage you to meet or chat with us on the phone and go over your vision for your unfinished space and we can give you a proposal.